Window cleaners and home owners alike are always asking me what is the best soap for cleaning windows. Should I use a commercial soap or just dish soap? Is ammonia okay? How do I keep from leaving streaks? 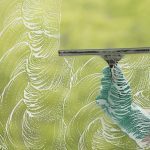 Like much of the window cleaning business, many times this comes down to personal preferences, but here are some good considerations to keep in mind. Many homemade window cleaning soaps are made with a mixture including household ammonia. Ammonia can be an inexpensive and effective cleaner, but there are important precautions to its use. Never mix ammonia with bleach. Even in small quantities or where the residue of one may be present, kept these two products separate. Ammonia and bleach combine to form a very toxic chlorine gas. Ammonia is poisonous and not safe for children or pets, even more so than most other soaps. Ammonia should be used with gloves and in a very well-ventilated area. Prolonged exposure can be dangerous. Ammonia is damaging to tinted windows. As with other chemicals, be sure to read all label instructions and cautions and MSDS information. 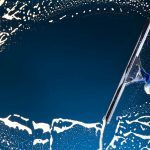 Another component for homemade window cleaners is regular dish soap. Used in a correct soap-to-water mixture, this can be a good choice for some, but dish soaps tend to leave a build-up of residue over time. All of the window cleaning soaps that we carry are ammonia-free and made of soaps specifically designed for cleaning windows and prolonged use. They are all designed to work with a squeegee, the tool of choice by the pro’s. Dish soap and window cleaning soap are less caustic to use than ammonia. 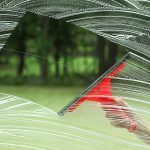 The pro window soap is designed to provide the perfect amount of slide for the squeegee. With the debris suspended in the solution and the squeegee able to slide, the window will dazzle and shine. 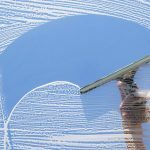 No matter what type of soap you decide to use, here are some tips to make those windows sparkle and to avoid streaks. Avoid cleaning windows in direct sunlight. This will cause the soap mixture to evaporate more quickly. If you have to wash hot windows, a water wetter, or squeegee glide, might help. Remember, more is not necessarily better. 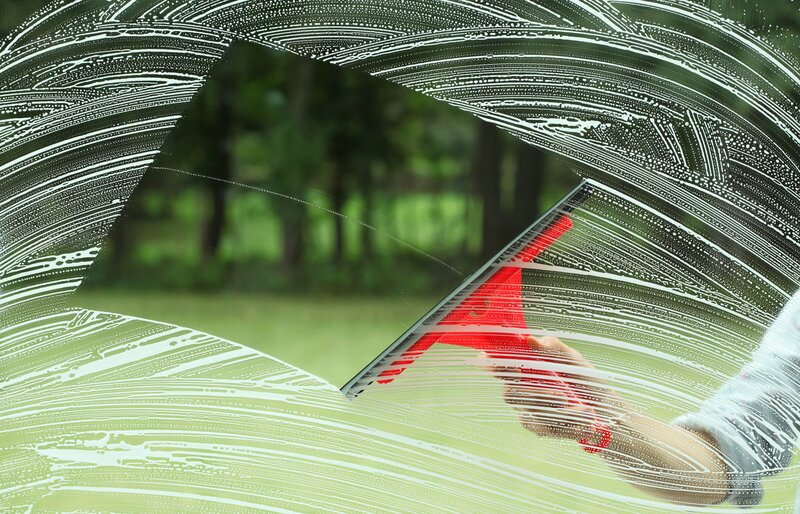 Too much soap in your mixture can leave streaks on the windows. Make sure your tools are clean. Don’t use a really dirty washer. All of that dirty stuff on the scrubber can make it a lot more difficult to squeegee to a streak free shine. Make sure your squeegee rubber is in good condition, an old blade can chatter or have knicks in the surface, causing streaks to be left behind.